Hand crafted in natural rattan with man-made fibre trimming, the Sika Design Simone stool is a particle contemporary design made using traditional techniques. The braiding is used on the seat as well as to hold the ring foot rest to the legs, creating beautiful details. 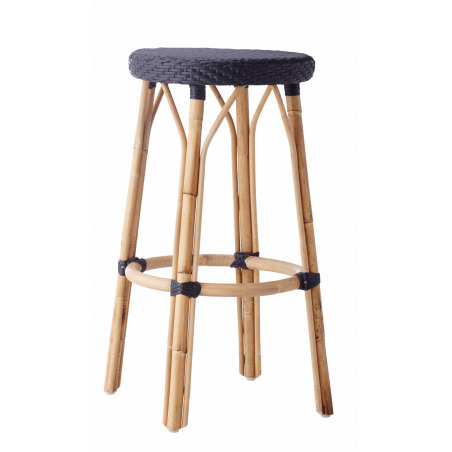 The seat can be easily wiped clean which makes the stool practical for a family kitchen or a restaurant.